Photo courtesy of RIA Novosti. 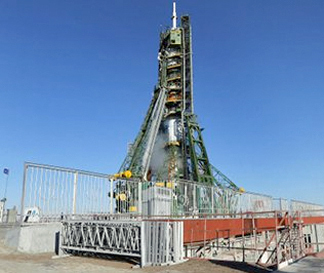 [SatNews] A Soyuz-2.1b launch vehicle, coupled with a Fregat upper stage and carrying a Meteor-M meteorological satellite and additional secondary payload smallsats, was successfully launched at 15:58 GMT from the Baikonur space center in Kazakhstan, according to Roscosmos. The primary payload is the Meteor M2, one of four Russian meteorological satellites the country hopes to orbit no later than 2015. In a sun synchronous orbit, at an altitude of 835 kilometers, this satellite has a life expectancy of five years. 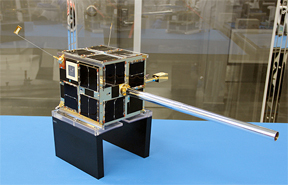 Photo of the AISSAT-2 cubesat. 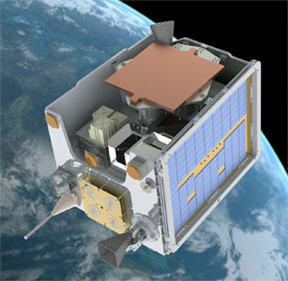 AISSat-2, which is funded by the Norwegian Space Center with additional support from the Norwegian Defence Research Establishment, is dedicated to AIS observations from space and is a follow-on mission from the earlier launched AISSat-1, which proved to be enormously successful. CMOS Image Demonstrator from Open University is packing a new form of image sensor that will be tested for viability in the face of space radiation, as well as engaging in the capture of images of Earth. DX-1, from Dauria Aerospace, will track navigation on waterways throughout North America, Northern Europe, as well as Russia. 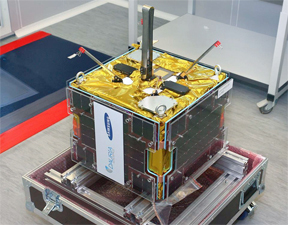 This smallsat carries an AIS payload on a proprietary platform that was completely designed and built by the company and takes advantage of the ongoing growth in the remote sensing industry. Relek, also known as MKA-PN 2, is a Russian designed and built smallsat will study electron precipitation via a magnetospheric payload. SkySat-2, the next smallsat iteration from SkyBox Imaging, will be primarily focused on Earth imaging and will offer resolutions of up to 3.3 feet (one meter). This smallsat is the second of the company's planned constellation of 24 satellites. 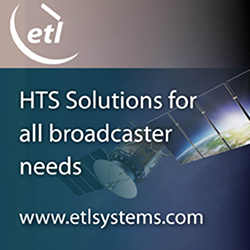 TechDemoSat-1 (TDS-1), from Surrey Satellite Technology Limited (SSTL), is, basically, an on orbit test facility for a variety of payloads and software applications developed in the United Kingdom. 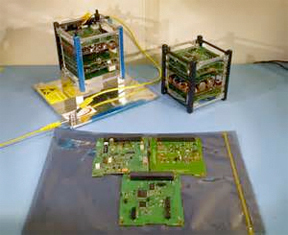 There are eight payloads aboard TDS-1, which include a new form of battery charge regulator; new cell designs on two of the smallsat's solar panels; a computer system that will enable the remote control of various software experiments; and a self-destruction technology that uses a sail to force the craft out of orbit to burn up in the Earth's atmosphere. UKube-1 from Scotland's Clyde Space (please see the complete story at http://www.satnews.com/story.php?number=1417489203).